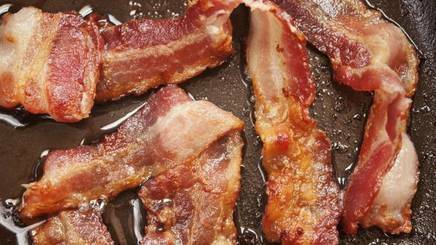 Man accused of stealing 32 tons of bacon! 46-year old Randolf Turner, manager of a Wendy’s restaurant in Michigan, is accused of stealing more than 32 tons of bacon from his employer over the last four years. The man intercepted 20 to 250 kilograms of meat per week from shipments destined to his restaurant. The man allegedly took advantage of his managerial position to falsify orders and sales in order to hide the disappearance of the bacon from the company accounts, and used his knowledge and control of the security cameras to be able to retrieve his loot without appearing on the tapes. The company began to suspect Mr. Turner in October 2014 after an anonymous tip, then had new security cameras installed without informing him. Over the next few weeks, they captured incriminating images of the manager taking 10-kilogram bags of bacon and leaving with them on a regular basis. One tape showed him eating raw bacon. Mr. Turner now faces multiple criminal charges of embezzlement, fraud and larceny, and faces up to 88 years in prison if found guilty on all charges of bacon theft. More and more cases of bacon theft have been reported over the country over the last several years, and police seem powerless to explain or to stop this new crime spree. On February 3, 21-year old Gaige Lee Joyner, was arrested by New York City Police after he held up a McDonald’s for twenty-five pounds of bacon. In another case, 61-year old David Brown from Gilbert, Arizona, was arrested for stealing 14 packs of bacon from a Fry’s grocery store.